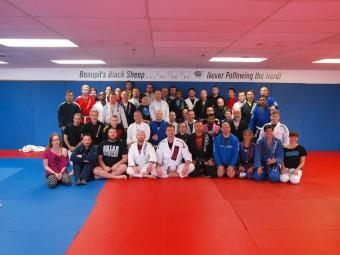 SBGi Coaches from around the world gathered at SBG Niagara for the 2014 SBGi Spring Camp, sharing their world class knowledge and skills with athletes from around the globe. What is remarkable about the SBGi curriculum is the way that everything just naturally fits together. Regardless who was coaching, every section flowed together. It was a progression that was easily learned by every athlete present, from beginner to seasoned veteran, and was able to be applied against a resisting opponent almost immediately. "SBG...creating an environment where people can feel safe to be vulnerable"... One of the most defining statements of the weekend, and a very clear representation of what SBGi truly stands for....Coach Matt has always had the best interest of EVERY member of SBGi at heart....he has led by example with integrity, passion, selflessness, and genuine concern for all....for that we are very, very thankful. To read the full Camp review and thank you's, click here.